"I like helping people, and veterans are at the top of the list of people I want to help." Before Electrician Martin Blanchet joined the Architect of the Capitol (AOC) in 2003, he had served in the Army twice, first from 1984 to 1988 and then from 1997 to 2003. His service included two combat tours and posts in 13 countries. About two years ago at a Fishing Flea Market in southern Maryland, he learned about a group called Heroes on the Water, which provides veterans with opportunities to go kayak fishing. Blanchet is an avid fisherman and an experienced kayaker, so he decided to volunteer with Heroes on the Water through its Maryland Chapter. Aside from the fishing, however, he decided to volunteer because he wanted to help fellow veterans. "There's something different about veterans," said Blanchet. "We take care of our own." Heroes on the Water is a national organization that helps veterans from all branches of the United States military unwind using the therapeutic qualities of fishing from kayaks. 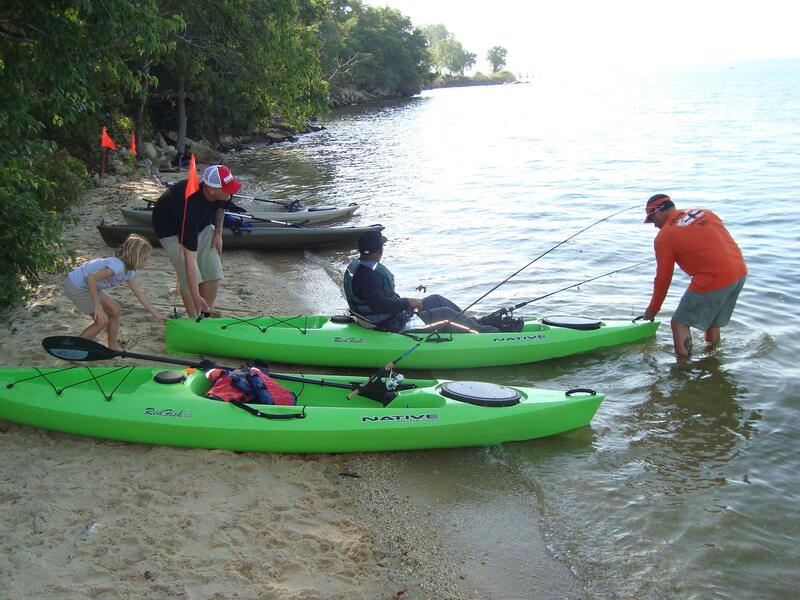 Founded in 2007, this kayak fishing program gives participants a chance to decompress from the stresses associated with combat and the physical rigors of rehabilitation. "We give them a stress-free day and an outlet to talk about what they might have been through or seen," said Jim Cooper, Co-Coordinator of the Maryland Chapter, which was started in 2013. "Keeping inside what is bothering you can exacerbate post-traumatic stress syndrome. People like Martin who’ve been in combat situations are kindred spirits and can help them relax and unwind while they're on the water." 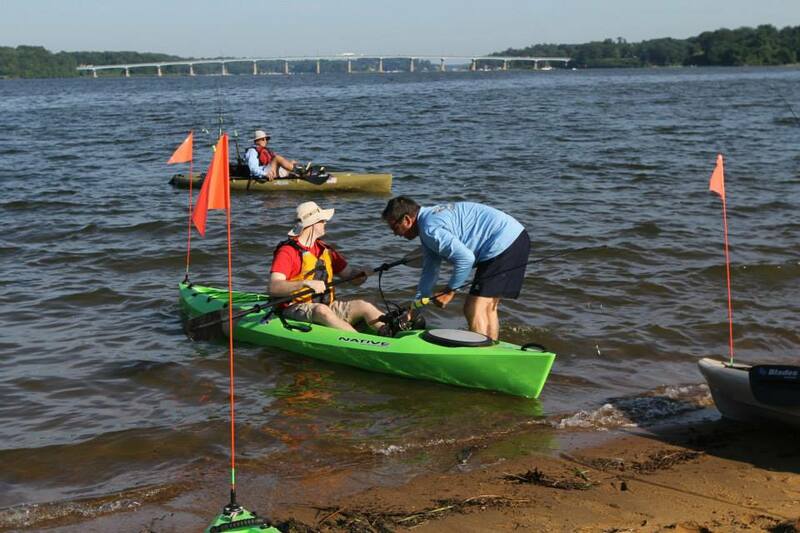 Participants receive basic kayak fishing and paddling instruction, if they need it. The program also assists participants in adapting their newly developed skills to their new abilities. Adaptive kayaks, kayaking accessories and angling equipment are offered on an as-needed basis to accommodate a soldier's particular needs. 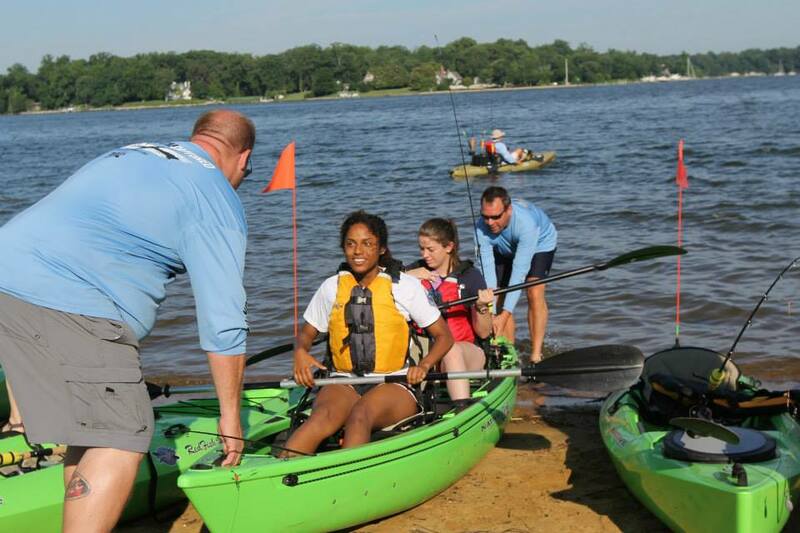 Blanchet is a member of the leadership team for the Maryland Chapter of Heroes on the Water. With 15 single kayaks and two doubles, or tandems, the Chapter can accommodate up to 18 people on the water. While participants paddle by themselves, Blanchet and other volunteers may help launch them into the water from the riverbank. "Anyone who gets in a kayak powers it by himself or herself.If you have no legs, you use the oars to paddle. If you have no arms, we have kayaks that you pedal with your legs and feet." Volunteers sometimes paddle their own kayaks along with participants to give advice on fishing or to lend an ear if they want to talk. All of the equipment and materials are donated to Heroes on the Water. The Maryland Chapter also has a big trailer that is used to transport the kayaks to the put-in spot for that day’s fishing excursion. Cooper says Blanchet is one of the Chapter's most dependable volunteers. "He helps with unloading the kayaks and rigging them with fishing equipment, and then when participants arrive, he helps them put on their safety gear and gives them any assistance they need. He truly is a jack of all trades." Day trips are offered about once a month at different spots around southern Maryland from April or May through October or November. In addition to the fishing, the Chapter provides lunch for the veterans, who can also bring their families to fish or to watch. There is one overnight camping trip at Solomons Island in Maryland which might include a fish fry if the kayakers catch any fish. Local veterans often find out about the kayak fishing opportunities through the Chapter's Facebook page. Additionally, members of the leadership team, like Blanchet and Cooper, reach out to troops at area military medical facilities such as Walter Reed National Military Medical Center in Bethesda to let them know about the program. Says Blanchet, "I love to fish. I love the tranquility and the peacefulness of it, and I love being in nature. But it's not just about the fishing for me. It's about helping out veterans. I will absolutely continue doing this until they tell me I can't come back." "We are here to say thank you to anyone who has served – and that includes first responders like the U.S. Capitol Police. They are welcome too," adds Cooper. Wonderful story. Makes me want to find a chapter in NJ. "Heroes on the Water - New Jersey Chapter" Is our facebook page.